Who: Politician. Author. Educator. Presidential Medal of Honor Recipient. Unbought and unbossed. Signature Difficult Moves: First African-American woman elected to the United States Congress, where she served for seven terms (1969-1983). In 1972, first African-American and first woman to run for the Democratic party’s presidential nomination. Personals: Married twice. No children. Too busy changing the world. How She Spoke Truth To Power: Vocal advocate for reproductive rights, minimum wage requirements, and government assistance programs for working families. 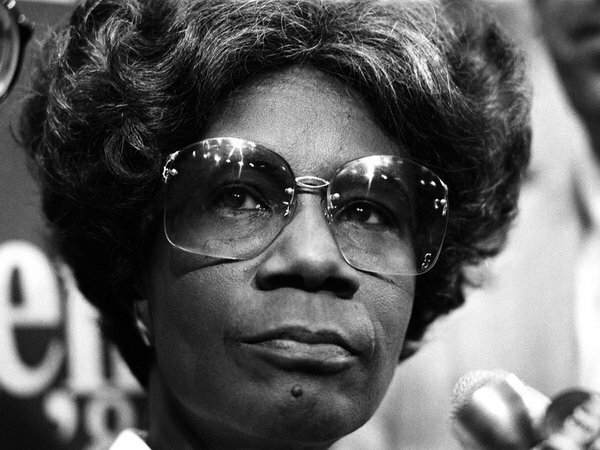 While serving on the Congressional Education and Labor Committee, Chisholm only hired women to work in her office, half of which were African American women. Quote To Live By: You don’t make progress by standing on the sidelines, whimpering and complaining. You make progress by implementing ideas.